a. These are the titles as given in the Constitution of the Republic of Cameroon, Article X (English at the Wayback Machine (archived 28 February 2006) and French at the Wayback Machine (archived 28 February 2006) versions). 18 January 1996. The French version of the song is sometimes called Chant de Ralliement, as in Swarovski Orchestra (2004). National Anthems of the World. Koch International Classics; and the English version "O Cameroon, Cradle of Our Forefathers", as in DeLancey and DeLancey 61. Cameroon (; French: Cameroun), officially the Republic of Cameroon (French: République du Cameroun), is a country in Central Africa. It is bordered by Nigeria to the west; Chad to the northeast; the Central African Republic to the east; and Equatorial Guinea, Gabon, and the Republic of the Congo to the south. 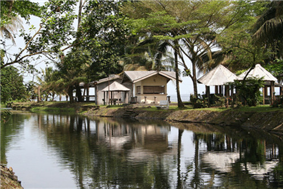 Cameroon's coastline lies on the Bight of Bonny, part of the Gulf of Guinea and the Atlantic Ocean. Cameroon is home to more than 200 different linguistic groups. French and English are the official languages. 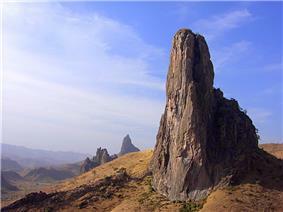 The country is often referred to as "Africa in miniature" for its geological and cultural diversity. 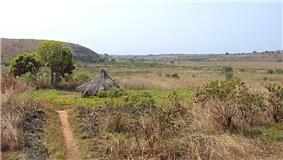 Natural features include beaches, deserts, mountains, rainforests, and savannas. The highest point is Mount Cameroon in the southwest Region of the country, and the largest cities are Douala, Yaoundé, and Garoua. After independence, the newly united nation joined the Commonwealth of Nations, although the vast majority of its territories had previously been a German colony and, after World War I, a French mandate. The country is well known for its native styles of music, particularly makossa and bikutsi, and for its successful national football team. After World War I, the territory was divided between France and United Kingdom as League of Nations mandates. The Union des Populations du Cameroun (UPC) political party advocated independence, but was outlawed by France in the 1950s. It waged war on French and UPC militant forces until 1971. In 1960, the French-administered part of Cameroon became independent as the Republic of Cameroun under President Ahmadou Ahidjo. The southern part of British Cameroons merged with it in 1961 to form the Federal Republic of Cameroon. The country was renamed the United Republic of Cameroon in 1972 and the Republic of Cameroon in 1984. In the early 19th century, Modibo Adama led Fulani soldiers on a jihad in the north against non-Muslim and partially Muslim peoples and established the Adamawa Emirate. Settled peoples who fled the Fulani caused a major redistribution of population. 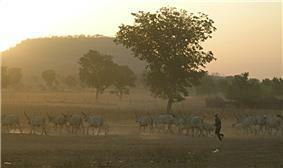 The northern part of Cameroon was an important part of the Arab slave trade network. The Bamum tribe have a writing system, known as Bamum script or Shu Mom. 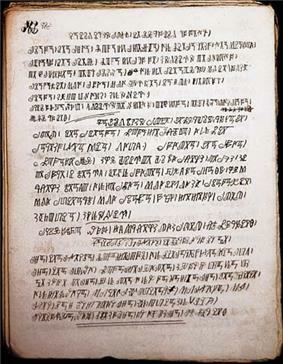 The script was given to them by Sultan Ibrahim Njoya in 1896, and is taught in Cameroon by the Bamum Scripts and Archives Project. The German Empire claimed the territory as the colony of Kamerun in 1884 and began a steady push inland. They initiated projects to improve the colony's infrastructure, relying on a harsh system of forced labour, which was much criticised by the other colonial powers. With the defeat of Germany in World War I, Kamerun became a League of Nations mandate territory and was split into French Cameroun and British Cameroons in 1919. France integrated the economy of Cameroun with that of France and improved the infrastructure with capital investments, skilled workers, and modified the system of forced labour. On 1 January 1960 French Cameroun gained independence from France under President Ahmadou Ahidjo. On 1 October 1961, the formerly British Southern Cameroons united with French Cameroun to form the Federal Republic of Cameroon. Ahidjo used the ongoing war with the UPC to concentrate power in the presidency, continuing with this even after the suppression of the UPC in 1971. An economic crisis took effect in the mid-1980s to late 1990s as a result of international economic conditions, drought, falling petroleum prices, and years of corruption, mismanagement, and cronyism. Cameroon turned to foreign aid, cut government spending, and privatised industries. With the reintroduction of multi-party politics in December 1990, the former British Southern Cameroons pressure groups called for greater autonomy, and the Southern Cameroons National Council advocated complete secession as the Republic of Ambazonia. In February 2008, Cameroon experienced its worst violence in 15 years when a transport union strike in Douala escalated into violent protests in 31 municipal areas. The 1996 constitution establishes a second house of parliament, the 100-seat Senate, was established in April 2013 and is headed by a senate president who is the constitutional successor in case of untimely vacancy of the presidency. The government recognises the authority of traditional chiefs, fons, and lamibe to govern at the local level and to resolve disputes as long as such rulings do not conflict with national law. Cameroon is viewed as rife with corruption at all levels of government. 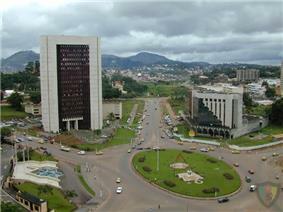 In 1997, Cameroon established anti-corruption bureaus in 29 ministries, but only 25% became operational, and in 2012, Transparency International placed Cameroon at number 144 on a list of 176 countries ranked from least to most corrupt. 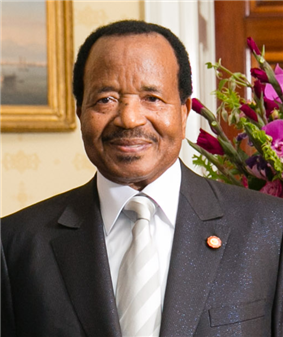 On 18 January 2006, Biya initiated an anti-corruption drive under the direction of the National Anti-Corruption Observatory. There are several high corruption risk areas in Cameroon, for instance, customs, public health sector and public procurement. Human rights organisations accuse police and military forces of mistreating and even torturing criminal suspects, ethnic minorities, homosexuals, and political activists. Prisons are overcrowded with little access to adequate food and medical facilities, and prisons run by traditional rulers in the north are charged with holding political opponents at the behest of the government. However, since the first decade of the 21st century, an increasing number of police and gendarmes have been prosecuted for improper conduct. Biya and his party have maintained control of the presidency and the National Assembly in national elections, which rivals contend were unfair. Human rights organisations allege that the government suppresses the freedoms of opposition groups by preventing demonstrations, disrupting meetings, and arresting opposition leaders and journalists. Freedom House ranks Cameroon as "not free" in terms of political rights and civil liberties. The last parliamentary elections were held on 30 September 2013. 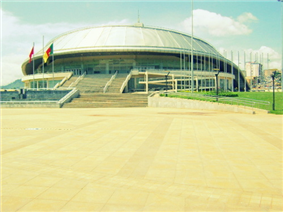 Cameroon is a member of both the Commonwealth of Nations and La Francophonie. Its foreign policy closely follows that of its main ally, France (the former colonial ruler). Cameroon relies heavily on France for its defence, although military spending is high in comparison to other sectors of government. Biya has clashed with the government of Nigeria over possession of the oil rich Bakassi peninsula (however, this was resolved with Greentree Agreement) and with Gabon's president, El Hadj Omar Bongo, over personal rivalries. Cameroon has one of the highest school attendance rates in Africa. Girls attend school less regularly than boys do because of cultural attitudes, domestic duties, early marriage, pregnancy, and sexual harassment. Although attendance rates are higher in the south, a disproportionate number of teachers are stationed there, leaving northern schools chronically understaffed. 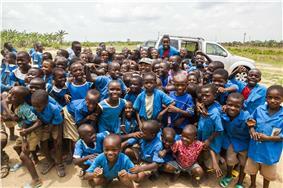 School attendance in Cameroon is also affected by child labor. Indeed, the U.S. Department of Labor Findings on the Worst Forms of Child Labor reported that 56% of children aged 5 to 14 were working children and that almost 53% of children aged 7 to 14 combined work and school. In December 2014, a List of Goods Produced by Child Labor or Forced Labor issued by the Bureau of International Labor Affairs mentioned Cameroon among the countries that resorted to child labor in the production of cocoa. The quality of health care is generally low. In Cameroon, there is only one doctor for every 5,000 people, according to the World Health Organization. Due to financial cuts in the health care system there are few professionals. Doctors and nurses, which were trained in Cameroon, emigrate because in Cameroon the payment is bad for too much work. Nurses are unemployed even though their help is needed. Some of them even help out voluntarily so they will not lose their skills. Outside the major cities, facilities are often dirty and poorly equipped. Life expectancy at birth is estimated to be 54.71 years in 2012, among the lowest in the world. Endemic diseases include dengue fever, filariasis, leishmaniasis, malaria, meningitis, schistosomiasis, and sleeping sickness. The HIV/AIDS seroprevalence rate is estimated at 5.4% for those aged 15–49, although a strong stigma against the illness keeps the number of reported cases artificially low. Breast ironing, a traditional practice that is prevalent in Cameroon, may affect girls' health. Female genital mutilation (FGM), while not widespread, is practiced among some populations; according to a 2013 UNICEF report, 1% of women in Cameroon have undergone FGM. Traditional healers remain a popular alternative to Western medicine. 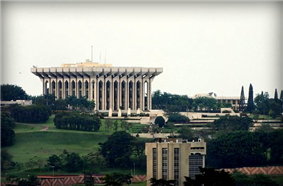 At 475,442 square kilometres (183,569 sq mi), Cameroon is the world's 53rd-largest country. It is slightly larger than the nation of Sweden and comparable in size to Papua New Guinea. The country is located in Central and West Africa on the Bight of Bonny, part of the Gulf of Guinea and the Atlantic Ocean. Cameroon lies between latitudes 1° and 13°N, and longitudes 8° and 17°E. Tourist literature describes Cameroon as "Africa in miniature" because it exhibits all major climates and vegetation of the continent: coast, desert, mountains, rainforest, and savanna. The country's neighbours are Nigeria to the west; Chad to the northeast; the Central African Republic to the east; and Equatorial Guinea, Gabon and the Republic of the Congo to the south. "Cameroon – Annual Report 2007" at the Wayback Machine (archived 26 May 2007). Reporters without Borders. Accessed 6 April 2007. "Cameroon" at the Wayback Machine (archived 13 January 2007). Human Development Report 2006. United Nations Development Programme. Accessed 6 April 2007. ^ a b Fanso, V. G. (1989). Cameroon History for Secondary Schools and Colleges, Vol. 1: From Prehistoric Times to the Nineteenth Century. Hong Kong: Macmillan Education Ltd., p. 84, ISBN 0333471210. ^ Matthews, Andy (12 March 2008). "Cameroon protests in USA", Africa News. Accessed 13 March 2008. ^ a b c d e "U.S. Relations With Cameroon". United States Department of State. Accessed 6 April 2007. ^ a b "Cameroon: New anti-corruption drive leaves many sceptical". 27 January 2006. IRIN. UN Office for the Coordination of Humanitarian Affairs. Accessed 6 April 2007. ^ "Corruption Perceptions Index 2012". Transparency International. ^ a b "Cameroon" at the Wayback Machine (archived 8 February 2007). Amnesty International Report 2006. Amnesty International Publications. Accessed 6 April 2007. ^ a b c d e f g h "Cameroon". Country Reports on Human Rights Practices, 6 March 2007. Bureau of Democracy, Human Rights, and Labor, U.S. Department of State. Accessed 6 April 2007. ^ a b "2006 Elections to the Human Rights Council: Background information on candidate countries" at the Wayback Machine (archived 6 June 2006). May 2006. Amnesty International Publications. Accessed 6 April 2007. ^ Kandemeh, Emmanuel (17 July 2007). "Journalists Warned against Declaring Election Results", Cameroon Tribune. Accessed 18 July 2007 . ^ 2013 Findings on the Worst Forms of Child Labor -Cameroon. Dol.gov. Retrieved on 29 June 2015. ^ List of Goods Produced by Child Labor or Forced Labor. Dol.gov. Retrieved on 29 June 2015. ^ "Cameroon". UNAIDS. Accessed 6 April 2007. ^ Joe, Randy. (23 June 2006) Africa | Cameroon girls battle 'breast ironing'. BBC News. Retrieved on 2015-06-29. ^ BBC World Service – Outlook, Fighting 'Breast Ironing' in Cameroon. Bbc.co.uk (16 January 2014). Retrieved on 2015-06-29. ^ Campaigners warn of 'breast ironing' in the UK – Channel 4 News. Channel4.com (18 April 2014). Retrieved on 2015-06-29. ^ Demographic Yearbook 2004. United Nations Statistics Division. ^ "Highest Average Annual Precipitation Extremes". Global Measured Extremes of Temperature and Precipitation, National Climatic Data Center, 9 August 2004. Accessed 6 April 2007. ^ a b Musa, Tansa (8 April 2008). "Biya plan to keep power in Cameroon clears hurdle". Reuters. Accessed 9 April 2008. ^ a b Musa, Tansa (27 June 2007). "Gunmen kill one, kidnap 22 in Cameroon near CAR". Reuters. Accessed 27 June 2007. ^ Cameroon. Worlddiplomacy.org. Retrieved on 29 June 2015. ^ International Federation of Red Cross and Red Crescent Societies (28 May 2007). "Cameroon: Population Movement; DREF Bulletin no. MDRCM004". ReliefWeb. Accessed 18 June 2007. ^ DeLancey and DeLancey 28. ^ Nathan, Fernand (ed.) (2010) La langue francaise dans le monde en 2010, ISBN 2098824076. 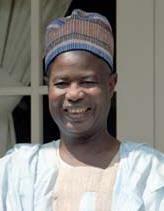 ^ Niba, Francis Ngwa (20 February 2007). "New language for divided Cameroon". BBC News. Accessed 6 April 2007. ^ Pew Research Center's Religion & Public Life Project: Cameroon. Pew Research Center. 2010. ^ Volet, Jean-Marie (10 November 2006). "Cameroon Literature at a glance". Reading women writers and African literatures. Accessed 6 April 2007. National policy strongly advocates sport in all forms. Traditional sports include canoe racing and wrestling, and several hundred runners participate in the 40 km (25 mi) Cameroon national football team has been one of the most successful in Africa since its strong showing in the 1990 FIFA World Cup. Cameroon has won four African Cup of Nations titles and the gold medal at the 2000 Olympics. Shortly after independence, filmmakers such as Jean-Paul Ngassa and Thérèse Sita-Bella explored similar themes. In the 1960s, Mongo Beti and other writers explored post-colonialism, problems of African development, and the recovery of African identity. Meanwhile, in the mid-1970s, filmmakers such as Jean-Pierre Dikongué Pipa and Daniel Kamwa dealt with the conflicts between traditional and post-colonial society. Literature and films during the next two decades concentrated more on wholly Cameroonian themes. Cameroonian literature and film have concentrated on both European and African themes. 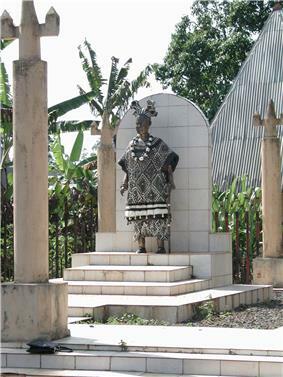 Colonial-era writers such as Louis-Marie Pouka and Sankie Maimo were educated by European missionary societies and advocated assimilation into European culture as the means to bring Cameroon into the modern world. After World War II, writers such as Mongo Beti and Ferdinand Oyono analysed and criticised colonialism and rejected assimilation. 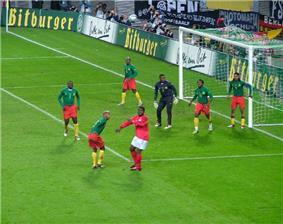 Cameroon faces Germany at Zentralstadion in Leipzig, 27 April 2003. 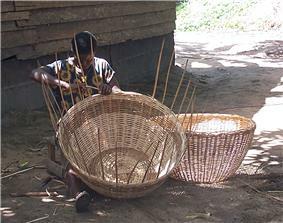 Traditional arts and crafts are practiced throughout the country for commercial, decorative, and religious purposes. Woodcarvings and sculptures are especially common. The high-quality clay of the western highlands is suitable for pottery and ceramics. Other crafts include Doual'art, Africréa) and artist-run initiatives (Art Wash, Atelier Viking, ArtBakery). 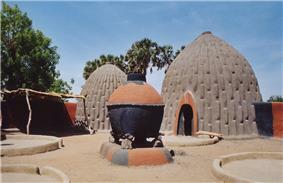 Water, palm wine, and millet beer are the traditional mealtime drinks, although beer, soda, and wine have gained popularity. Silverware is common, but food is traditionally manipulated with the right hand. Breakfast consists of leftovers of bread and fruit with coffee or tea, generally breakfast is made from wheat flour various different foods such as puff-puff (doughnuts), accra banana made from bananas and flour, bean cakes and many more. Snacks are popular, especially in larger towns where they may be bought from street vendors. Cuisine varies by region, but a large, one-course, evening meal is common throughout the country. A typical dish is based on cocoyams, maize, cassava (manioc), millet, plantains, potatoes, rice, or yams, often pounded into dough-like fufu (cous-cous). This is served with a sauce, soup, or stew made from greens, groundnuts, palm oil, or other ingredients. Meat and fish are popular but expensive additions. Dishes are often quite hot, spiced with salt, red pepper, and Maggi. The two most popular styles are makossa and bikutsi. Makossa developed in Douala and mixes folk music, highlife, soul, and Congo music. Performers such as Manu Dibango, Francis Bebey, Moni Bilé, and Petit-Pays popularised the style worldwide in the 1970s and 1980s. 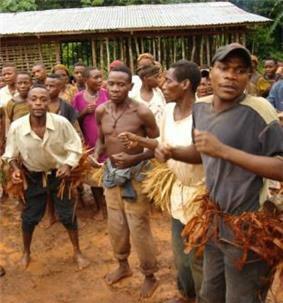 Bikutsi originated as war music among the Ewondo. Artists such as Anne-Marie Nzié developed it into a popular dance music beginning in the 1940s, and performers such as Mama Ohandja and Les Têtes Brulées popularised it internationally during the 1960s, 1970s, and 1980s. In the northern regions, the locally dominant Fulani ethnic group is mostly Muslim, but the overall population is fairly evenly divided among Muslims, Christians, and followers of indigenous religious beliefs (called Kirdi ("pagan") by the Fulani). The Bamum ethnic group of the West Region is largely Muslim. Native traditional religions are practiced in rural areas throughout the country but rarely are practiced publicly in cities, in part because many indigenous religious groups are intrinsically local in character. People from the North-West and South-West provinces are largely Protestant, and the French-speaking regions of the southern and western regions are largely Catholic. Southern ethnic groups predominantly follow Christian or traditional African animist beliefs, or a syncretic combination of the two. People widely believe in witchcraft, and the government outlaws such practices. Suspected witches are often subject to mob violence. The Islamist jihadist group Boko Haram has been reported as operating in North Cameroon. German, the language of the original colonisers, has long since been displaced by French and English. Cameroonian Pidgin English is the lingua franca in the formerly British-administered territories. A mixture of English, French, and Pidgin called FrancAnglais has been gaining popularity in urban centres since the mid-1970s. The European languages introduced during colonialism have created a linguistic divide between the population who live in the Northwest and Southwest regions and the French-speaking remainder of the country. Both English and French are official languages, although French is by far the most understood language (80+%). Almost 90,000 people have fled to neighbouring Cameroon since December and up to 2,000 a week, mostly women and children, are still crossing the border, the United Nations said. "Women and children are arriving in Cameroon in a shocking state, after weeks, sometimes months, on the road, foraging for food," said Ertharin Cousin, executive director of the World Food Programme (WFP). Both monogamous and polygamous marriage are practiced, and the average Cameroonian family is large and extended. In the north, women tend to the home, and men herd cattle or work as farmers. In the south, women grow the family's food, and men provide meat and grow cash crops. Like most societies, Cameroonian society is male-dominated, and violence and discrimination against women is common. According to Cameroon government website, fertility rate was 5.0 in 2004. The population total in Cameroon was 20,030,362 in 2011. The life expectancy is 53.69 years (52.89 years for males and 54.52 years for females). Factory-based industry accounted for an estimated 29.7% of GDP in 2009. More than 75% of Cameroon's industrial strength is located in Douala and Bonabéri. Cameroon possesses substantial mineral resources, but these are not extensively mined. Petroleum exploitation has fallen since 1986, but this is still a substantial sector such that dips in prices have a strong effect on the economy. Rapids and waterfalls obstruct the southern rivers, but these sites offer opportunities for hydroelectric development and supply most of Cameroon's energy. The Sanaga River powers the largest hydroelectric station, located at Edéa. The rest of Cameroon's energy comes from oil-powered thermal engines. Much of the country remains without reliable power supplies. 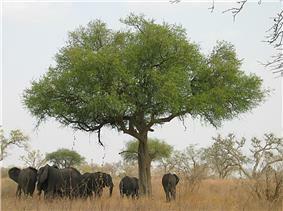 The southern rainforest has vast timber reserves, estimated to cover 37% of Cameroon's total land area. However, large areas of the forest are difficult to reach. Logging, largely handled by foreign-owned firms, provides the government US$60 million a year as of 1998, and laws mandate the safe and sustainable exploitation of timber. Nevertheless, in practice, the industry is one of the least regulated in Cameroon. Unemployment was estimated at 30% in 2001, and about a third of the population was living below the international poverty threshold of US$1.25 a day in 2009. Since the late 1980s, Cameroon has been following programmes advocated by the World Bank and International Monetary Fund (IMF) to reduce poverty, privatise industries, and increase economic growth. The government has taken measures to encourage tourism in the country.